I just love Spring…nature awakens, trees are in bloom. One of the most beautiful sights for me is a cherry tree in it’s full bloom. 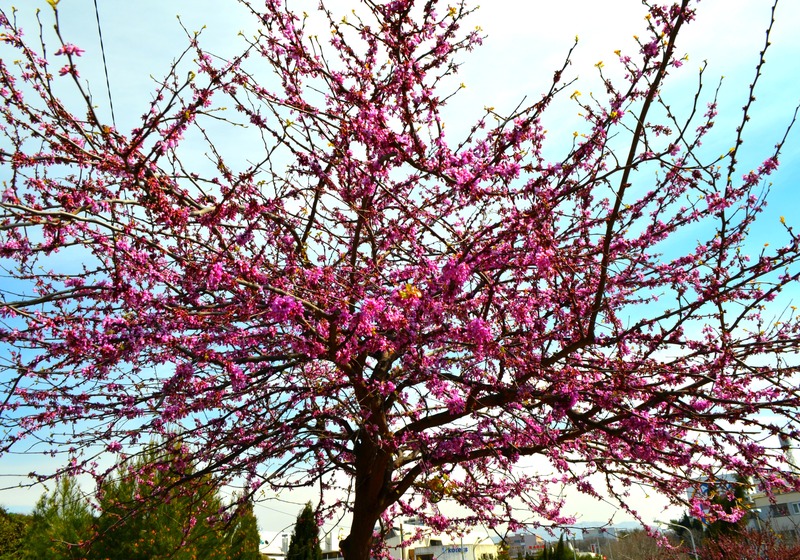 It is not easy to find cherry tree in Split, but this beautiful almond tree helped us in our photo shoot :). 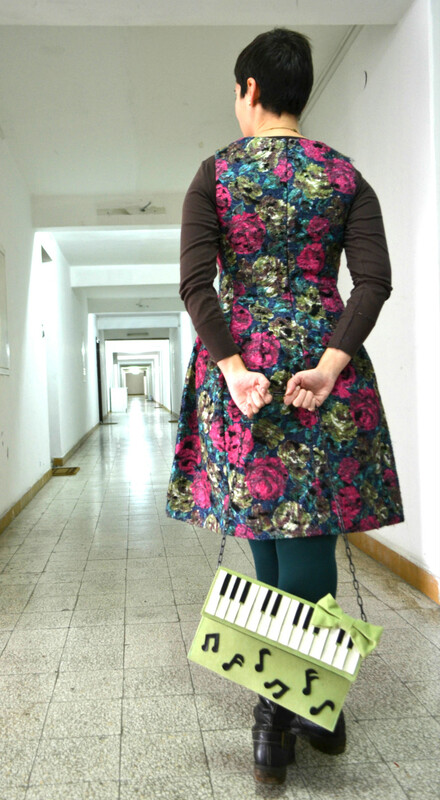 I enjoyed so much finally being able to wear this beautiful cherry blossom or sakura printed skirt combined with cherry inspired jewelry and purse! Cherry blossom trees, also known as sakura, typically bloom in late March and early April. Many in Japan celebrate by holding flower viewing parties and picnicking under the trees. This custom, also knows as Hanami in Japan, dates back to as early as 710 CE when festivals were held specifically for the coming of the sakura. In historic Japan, the cherry blossom represented morality, since the blossom itself has a short life span. Now it has come to symbolize innocence, simplicity, and the beginning of spring. In some cultures it represents feminine beauty, love, passion, and hope for greater things to come.